K vs. C&Q? 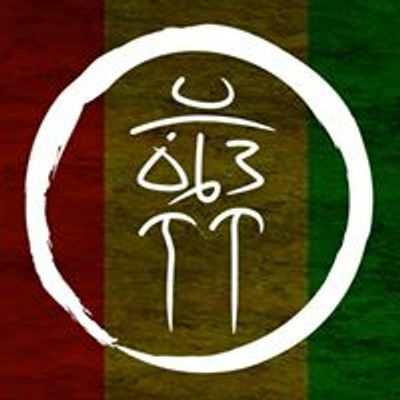 Súlat Wáwâ vs. Súlat Bacúlud? Samson Orthography? KWF Orthography? What does the indigenous Kapampángan script, Kulitan, teach us about Kapampángan phonology? 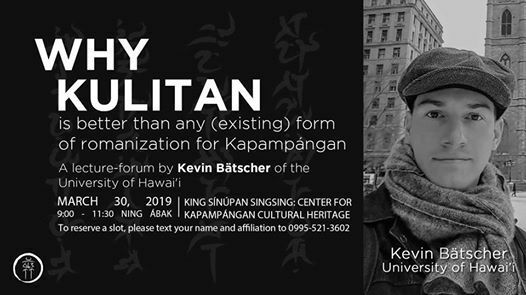 Why is Kulitan better than any (existing) form of romanization for Kapampángan? 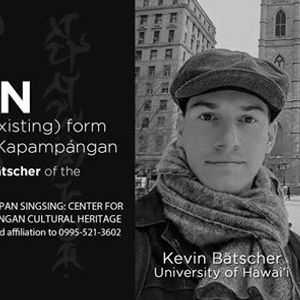 Kevin Bätscher (言凱明) of the Department of Linguistics at the University of Hawai'i will help us explore the answers to these questions in this special lecture-forum on Kulitan and Kapampángan Phonology. To reserve a slot, please text Sínúpan Singsing: 09955213602.